Our Skoda car mats come with a manufacturers warranty and are produced here in Great Britain. They are cut using the original Skoda patterns, meaning we guarantee the mat will perfectly fit your vehicle. To make it even more perfect, you can personalise your quality car mat to your requirements. Change the colour, style, carpet type, leather edges, and even add texts, slogans or a company logo. Whether you are aim is to kit out a fleet of Skoda cars or just one, YourCarParts.co.uk is the perfect choice for your Skoda car mat needs. Our best selling products are Skoda Fabia Car Mats, Skoda Fabia Car Mats, Skoda Felicia Car Mats, Skoda Roomster Car Mats, Skoda Yeti Car Mats with Push Click Fixing, Skoda Superb Oval Clips Car Mats, Skoda Superb Oval Clips Car Mats, Skoda Fabia Car Mats. 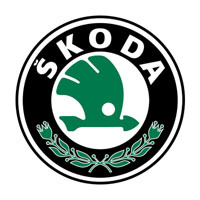 Skoda Auto, was founded by Vaclav Laurin and Vaclav Klement in 1895 as Laurin & Klement in the Czech Republic, which began selling bicycles. The company was even credited by the British press in 1900 for having created the first ever motorcycle. The company waiting until 1905 until it started producing cars, which means Skoda is the second oldest automaker in the Czech Republic, the number one spot belonging to Tatra. Post World War I, Laurin & Klement was producing trucks, but they hit trouble in the form of a factory fire so they searched in hope of a new partner. The new partner came in the form of Skoda Works, an arms manufacturer which wanted to expand its non-arms production, and they eventually bought up the Czhech company in 1925. In the 80's and 90's, Skoda had a bad reputation in Britain for being unreliable, unfashionable, and generally a very “uncool” car to be seen in. However, following the company becoming a wholly owned subsidiary of Volkswagen Group in the year 2000, it began a lengthy rebranding process, with the aim of losing it's poor reputation. It worked, and models such as the Skoda Fabia, the Skoda Superb and the Skoda Octavia proved very popular, and since the company's takeover by Volkswagen, sales figures have consistently increased each year despite the global economic crash.